CCENT then CCNA SEC? What can you say about it? I wouldn't say you need to get the certification, but the knowledge will surely help you. I think Cisco's new model of CCENT->Specialty Tracks is one of the worst things they have done when it comes to certification. How can you secure a network if you don't truly understand how a network functions? Anyone going for a CCENT is new to networking so jumping from there to Security, Voice, Wireless is odd. Well, to each his own right? This is why good employers have solid technical interviews. Then again, how experienced are you with R/S? If you have worked for years then you could easily study and pass the CCNA then jump over and start Security. I take it you are relatively new eh? I will say this, invest in yourself..not some certification. At the end of the day, it is you who will be performing the work, not a piece of paper with four letters on it. Again, I would at the least advise you to finish your CCNA first. In Red are the topics of most importance to Security. I included Spanning-Tree and EIGRP because these are subject to Man in the Middle type attacks and need to be properly secured (Neighbor Authentication, Root Guard, BPDU Guard, etc...) I left off OSPF, because Single-Area OSPF is covered in ICND1. Taking you CCNA first will give you most of the foundation you will need for the CCNA:Sec. 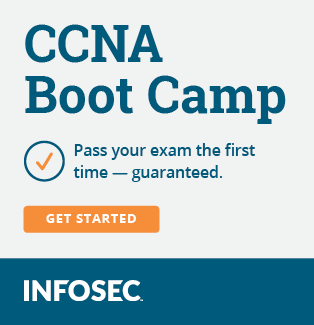 If you have the knowledge already, then is won't be hard for you to take and pass the CCNA exam. If you're new to the topics in the ICND2, then some of the material in IINS will be unfamiliar to you and will require you to obtain the underlying mechanies. I think the route RouteMyPacket is suggesting is the best way or tackle the CCNA:Sec after the CCNA. Cisco having specialty tracks is not the issue...that is how the industry is evolving however at the associate level they probably should still require CCNA. Op, the CCNA:Security was created based on the old style where CCNA:R&S or a CCIE was a prerequisite. Basically you will have gaps of knowledge if you don't complete the R&S first making things more difficult at some point. 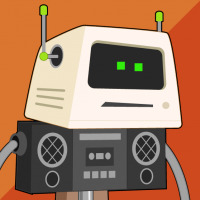 The topics most important to Security (ACLs, Port Security, Device Hardening) are on the ICND1 now. Of the ones I marked in red, only EIGRP and Spanning-Tree were even on the old CCNA (Syslog, SNMP, and Netflow were not covered). EIGRP shouldn't be too hard to learn given they already learned OSPF in ICND1 and OSPF is ALOT more complicated at the NA level (You don't run into SIA, etc...until NP). Personally, STP wasn't all that hard to understand (I hated Frame Relay, though). The new ICND1 is almost as comprehensive as the old Composite (just lacking WANs, EIGRP, and STP). Career wise, getting the CCNA: R&S couldn't hurt and it really isn't that much more information than the CCENT. The new CCENT is almost comparable to the older versions of the CCNA. Edit: The post right above mine says the same thing. Thank you so much for making this point, I do understand the value of cert. I'm just setting up my goals to give myself some direction in order to motivate myself more. It's kinda hard to learn/study things if you do not have an objective. So obtaining a cert for me is partially my goal and at the same time acquiring vast amount of knowledge and understanding of how things work. Thanks everyone for the feedbacks! Much appreciated. I totally agree with you on that. Experience/Knowledge beats certification. However for me and as we all know, IT employers today requires applicants to have this and that cert to get you through the HR interview and Tech interviews. I'm just making my CV looks good and at the same time surprise them of what I know. It's hard to claim that you're good at this and that during interviews, unless you back it up with cert.